Home / Computers/technology / Gadgets / Video: Introducing The Pocket Size, Wallet-friendly Drone Kit! Drones get more portable each year, with the professional ones being able to fit into a backpack, and some even onto a phone case. The Wallet Drone, however, is tiny. And, with tiny being the inspiration, was designed to be the most portable kit ever. The mini-drone and the controller can both literally fit into your pocket! 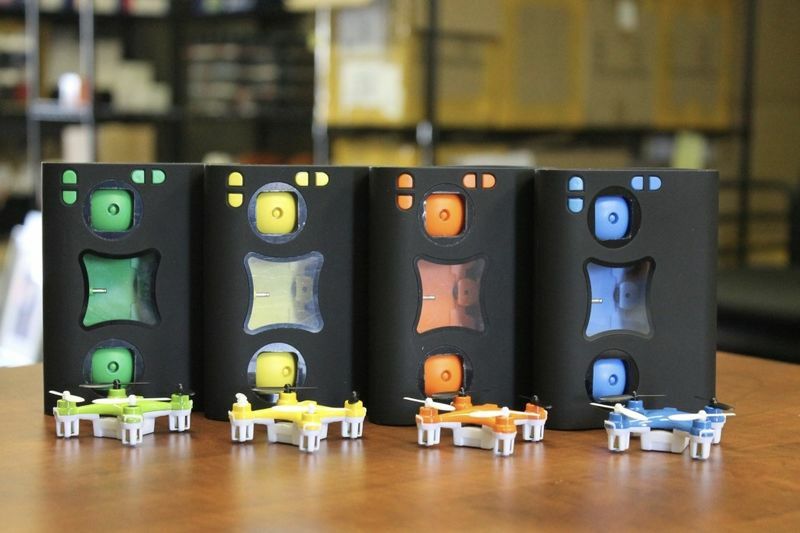 The way the Wallet Drone is packaged is every design engineer’s dream come true. The controller comes with a lid that opens up to reveal the drone docked right inside it. The drone and controller both run on 4 AA batteries and when the drone docks in the controller, it gets charged by the same set of batteries! The mini quadcopter comes with 3 speeds, pre-programmed for your desired level of light sensitivity, and 6-Axis Gyro-Stabilisation that keeps the drone stable. It even has its own pre-programmed “trick mode” that lets it to flips and do some barrel rolls. The controller itself is a thing of marvel too. It comes with four buttons and two joypads that have detachable pads (so that you can store the controller as well). The result of this is a controller that holds everything inside it in a beautiful compact housing that you can slide into your back pocket, just like your wallet. While on the topic of a wallet, the Wallet Drone won’t empty yours. At just $35 (or $25 if you use the coupon code TENOFF), the Wallet Drone is the perfect backyard toy!